Princess Eugenie is a member of the British royal family. She is the younger daughter of Prince Andrew, Duke of York, and Sarah, Duchess of York. She is ninth in line of succession to the British throne, after her elder sister, Princess Beatrice of York. 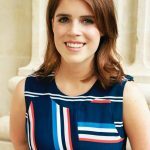 Princess Eugenie completed her degree in Art History, English Literature and Politics at the Newcastle University in 2012. She is currently working at Hauser & Wirth art gallery as a director. She is a Patron of many charities, including the Elephant Family, Teenage Cancer Trust, Coronet Theatre, and Tate Young Patrons. This year, she announced the Anti-Slavery Collective, a new initiative aimed at abolishing modern slavery, with her friend and co-worker, Julia de Boinville. Julia de Boinville holds a First-Class Honors degree in History from the University of Newcastle. She currently serves as Vice President of Business Development for Afiniti and has manages the Advisory Board. 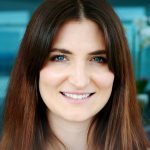 She spent most of her career as an Associate at Floreat Group, a boutique investment company based in London. [00:00:04] Claudia Edelman Welcome to the Global GoalsCast, the podcast that explorers if we can change the world. Every one of our guest of the Global GoalsCast is special, but not every one of our guests is royalty. Today we explore modern slavery with Her Royal Highness Princess Eugenie and Julia de Boinville who are forming the Antislavery Collective. My Co host, Edie Lush, sat down with them recently at the change makers summit in London, organized by our partner, Seven Hills. [00:00:38] Credits: Thanks to HARMAN, the official sound of Global GoalsCast. [00:00:47] Edie Lush:So, I am delighted to be joined today by Her Royal Highness, Princess Eugenie and also by Julia de Boinville. You guys have been best friends forever, right? [Over 13 years. It’s quite scary.] That is good. Okay. [I feel old.] Now we’re talking today about fighting the scourge of modern slavery. Tell me first of all your Royal Highness how you guys got involved in this issue. [00:01:12] HRH Eugenie: Being best friends. Jules and I went with my mom to visit Calcutta, India, back in 2013 and we met, uh, is amazing woman called [inaudible] who started the Women’s Interlink Foundation and she works to take trafficked girls and women off the streets and teaches them a vocational skill such as printing on fabrics, making these amazing handbags and scarves and dresses and just beautiful products. And I’m Jules and I, that was the first time we ever really saw what modern slavery was and human trafficking and what really that is in the modern age. We didn’t know this to the extent of what this global epidemic was. We didn’t know. We thought, oh, William Wilberforce, you know, he did away with it in 1833 and Britain lead the way. And that was just what happened. But we realized then that it’s a huge problem and it happens all across the world and even in an hour from where you live. It’s happening in the UK. So that was our first experience of it. [00:02:17] Jules: Slavery today is not, it’s not like it was in the 1800’s, you know, slaves walk amongst us. It’s not shackles and chains that they’re normal people walking on the streets. So it’s, it’s really terrifying. [00:02:30] Edie Lush: And you came back from that and I think something happened with Top Shop. Am I right? Tell me about that. [00:02:35] HRH Eugenie: So we came back to London and Jules now wants to continue our education. From that, my mom and uh, my father with our help set up the Key to Freedom, which is the sort of fashion brand of Women’s Interlink which sells products done by these girls to shops like top shop, Where 100 percent of the wage goes back to the girls in Calcutta and gives a job, a wage, keeps them off the streets, keeps them going back to their traffickers sometimes which happens. And it was really fulfilling. It was amazing to see that this could actually happen, that we can make change. And so from that Jules and I started our education and have done so for the last five years. Just continued to read as much as we can, meet as many people as we can, talk to policy makers, change makers as we did today, talk to governments and millennials and as many people as possible to really learn about this, but also see how we can affect change. [00:03:34] Edie Lush: So it’s interesting to me because it’s an issue of affecting every single corner of the world. It’s hard to estimate than actual numbers of people who are in modern slavery. So an estimated around $40 million people. So just to put that in perspective, it’s about the population of Poland. What I love about what you guys have done is go around and educate yourself. So go out and meet some of these people. Tell me a little bit about some of the women you’ve met along the way. [00:04:01] Jules: One Lady springs to mind. A young lady called Florida. Eugenie and I met Florida at the end of last year and Florida is from the Yazidi tribe in northern Iraq and Florida was trafficked by Isis, the men in her family. So her husband, father, brother, were all killed before her eyes and dumped in a mass grave, her and her sister were then trafficked. And She described these horrific scenes of what sounded more like a sort of cattle market where slaves were taken to the village and traded, you know, and men would buy them mostly for sexual exploitation, keep them for a day, sometimes a week, and when they tired them, they would take them back to the market and trade them in again, and that was her life. And Florida managed to escape only to be recaptured again and for the same horrific ordeal to happen all over again. And then she escaped again. And this is when she came across a wonderful organization called Yazda and Yazda has taken care of her. They’ve helped her write a book, help give her a platform to tell her story. She’s spoken at The Hague and that this is one story that actually has a happy ending. So she now lives in Germany and she’s happily married and she’s devoted her life to helping other people in her situation. But think of all the people who haven’t escaped, but it’s really amazing doing what we do and to be able to meet these people. It’s so incredibly humbling when someone has been through what she’s been through yet still wants to devote her life to this cause. [00:05:35] Edie Lush: We’re recording this in London. The UK of course, isn’t immune to modern slavery. The National Crime Agency here last week, so that more than 5,000 potential victims of modern slavery and trafficking were referred to UK authorities last year. Half of those or forced labor around a third are People exploited for sexual purposes, once again and children affected more. Tell me about some of your encounters with slavery closer to home. [00:06:05] HRH Eugenie: There’s about 13,000 people trafficked in the UK and it was a few years ago. Uh, I met the salvation army and they really, really hit home the extent of what’s going on in the UK. We’re leading the charge. We’ve, we’ve passed them on slavery bill, we’ve got an independent slavery commissioner. It’s fantastic the work that’s being done. But I did, we did go and visit the salvation army, went to a safe house and we met this unbelievable go called Sharon because we’ll keep her anonymous, but she was trafficked by her next door neighbor in Manchester to a gang within Manchester and the gang did horrific things to her from setting her on fire, to smashing bottles inside her and from that she’s had countless surgeries to re-correct that and to make her whole again. But what is amazing about this story and what stayed with Jules and I and will stay with us forever is Sharon is the most incredible 21 year old girl You would have me. She walked in and smiled and told her story with such courage and conviction and sat there and said, I just want to fight with you and I just want to make change and I just want to keep going or she wants to do is just keep us going. Like it’s her mission to keep Jules and I fighting. It’s remarkable seeing someone make you believe, like we grumble about rain, but there she is teaching us how we can actually look at the world and how we can fight something. It gives me goosebumps thinking about it and it’s something that we want to continue to do for her. [00:07:47] Edie Lush: You guys were setting up something called the Antislavery Collective. Tell me how that’s going and what you’re doing. [00:07:56] Jules: So the Antislavery Collective is all about raising awareness for modern slavery as a global epidemic. Um, and we’ll do this through various different platforms be it a book we want to publish, social media, events, our website. Eugenie and I both believe that two heads are better than one. We don’t want to reinvent the wheel and set up another charity. There are so many amazing organizations out there doing phenomenal work, but we want to shine a light on them and bring people together to share ideas, to share resources, to share data and not just NGOs as well. It’s about getting business leaders, policymakers, NGOs, individuals, all in the same room to convene and agree on, on a way forward to make change. [00:08:43] HRH Eugenie: And I think the main thing to focus us at the beginning is is a website. I think technology is just the greatest source for us all to actually talk and we kind of forget because I’m not very techie, I’m more creative, but it is the way forward and it’s all about engaging gen Z millennials. It’s about getting a new audience. It’s about getting those new audiences to talk to top level politicians and change makers and policy makers. It’s all about using technology to bring everyone together. And the website as a first port of call will be hugely fantastic for people to to look and find amazing stories as well as statistics and things that can help them learn. [00:09:30] Edie Lush: So learning is part of the process. We on the Global GoalsCast also talk about actions you can take. There’s this great unicef campaign that says that likes don’t save lives, so just by liking something isn’t going to do anything, but I know that you guys can give us some actions on what people can do. [00:09:49] HRH Eugenie: Yes. Some of the things that Jules and I talked about regularly is asking the question, and this is something salvation army have done wonderful work with, with a campaign which I helped them with, but it’s about asking the question and being aware. It’s about downloading some apps that you can get. There’s a, there’s an app called not my style and also good on you and that teaches about ethically sourced fashion labels and what you can see where they’ve come from supply chains, um, and just jump in because you’ve got a really good one. [00:10:21] Jules: The United Nations violence against women campaign are also developing something called the orange label whereby luxury fashion brands are rewarded this orange label that they can incorporate into their logo as a sort of seal of approval to show that they are ethically sourced. Supply chains is a big one for businesses and the consumer, the consumer has the responsibility to put pressure on big businesses because that’s who they’re gonna listen to and big businesses owe it to their consumer to be conscientious and accountable for their supply chains. [00:10:53] HRH Eugenie: Yeah, and I think also following on from that, it’s about when you look at your nail salon or your car wash or a, when you go across overseas in, you find that tomatoes are really cheap there and more expensive there. It’s about asking the question as to why that is and being aware of, of of that just changes your whole perspective on what actually is going on in the situation. It’s not just about sexual exploitation, it’s about domestic servitude, workforce labor and all the many kinds of modern day slavery that aren’t in the open. [00:11:27] Edie Lush:So my producer, producers just asked a fantastic question, which is what’s at the root of this idea of modern slavery? [00:12:04]Edie Lush: So the Sustainable Development Goals, which of course we talk about on this podcast, Sustainable Development Goal eight is about promoting sustainable economic growth. Decent work for all. Part of this is ending slavery by 2030, which seems quite soon. In fact. What would you like? Yeah, what would you like to see from businesses? How can they get involved? [00:12:28]HRH Eugenie: They can get involved with Antislavery Collective, we’d love to, we’d love to have lots of businesses involved. Um, supply chains is a really obvious one. [00:12:37] Jules: We’re seeing a lot of forced labor in cleaning companies at the moment. So for example, a big hotel chain might outsource the cleaning function to a third party without maybe checking the viability or permits that their workers and that kind of falls under this sort of domestic servitude bracket as well. But supply chains go on and on and there’s so many layers. And so it’s just about being as thorough as possible. And the way that the modern slavery bill has been set up is not to kind of prosecute and pointing the finger, but to help businesses discover if there’s, um, modern slavery in their supply chain that’s in the UK. Yeah. People are rewarded for coming forward and saying, oh actually this is what we’ve found. Not, not prosecuted it, it’s, it’s about collaborating and working together. [00:13:33]HRH Eugenie: There’s a fantastic book called Half the sky, which Jules and I just read and it’s remarkable and it’s called Half the Sky because Chinese proverb says, women hold up half the sky and how can a world ever survive or exist when half of its population is not being treated justly and you know, women and girls, but you know, especially trafficked. What’s going on with human trafficking and how many it’s happening to is it’s really something that we’ve all got to open our eyes to work together towards, focus on, you know, we cannot say we did not know. Quoting Wilberforce, he really is a hero for us because we can’t turn a blind eye to it. It’s something in society. It’s something that all societies sort of exacerbates because it’s sometimes a huge subjects and you don’t want to broach it. You get overwhelmed, but it’s about all of us working together and as Jules said, it’s not about pointing the finger, it’s about all of us aligning and knowing that this is right and that we can fix this and that this is something that can be eradicated by 2030. I would love that to happen. [00:14:46] Jules: I think. I think everyone, businesses, individuals, we have to take an element of responsibility, you know. I don’t want to speak to my child in however many years time, my unborn child and have to say, Oh God, yes, slavery existed in my lifetime and I started my hands and I didn’t do anything about it. [00:15:04] Edie Lush: When I was preparing for this yesterday. In fact, I was looking at the facts and came up with this fact about these 5,000 reported cases last year in the UK and my 10 year old came up and she went, well in the UK, that’s here. I mean, it is extraordinary. [00:15:21]HRH Eugenie: It is. And something I. I’d just like to tell all the listeners is, don’t be overwhelmed by it. It is, you know, so many people in this field who are working, who have been working at and continue to work in this field. They even say it’s me, oh sometimes I get frustrated and disheartened, but it doesn’t mean they’ll give up and I think that’s something all your listeners should know is that if you could save one person’s life or if you can help one person or whatever it is or support one charity, then you’re doing something incredible and you’re really changing the world. [00:15:57] Edie Lush: Thank you guys very much for joining me here on the Global GoalsCast and I’m Edie Lush. [00:16:11] Jules: And if anyone wants to imagine where we all were in a very dark black room, but the big round thing in front of offices, but we’re all smiling. [00:16:21] New Speaker: This podcast is powered by CBS news digital.